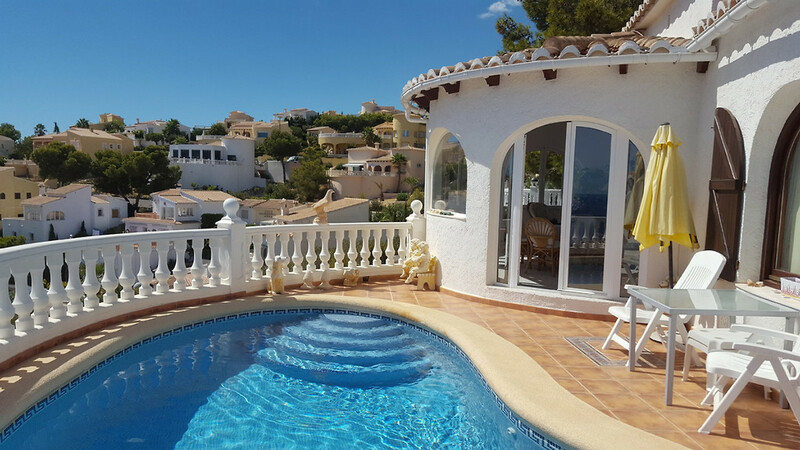 Our holiday home on the Costa Blanca is a detached house with 110 sqm living space and private pool of about 4 x 7 m on a plot of 319 sqm. 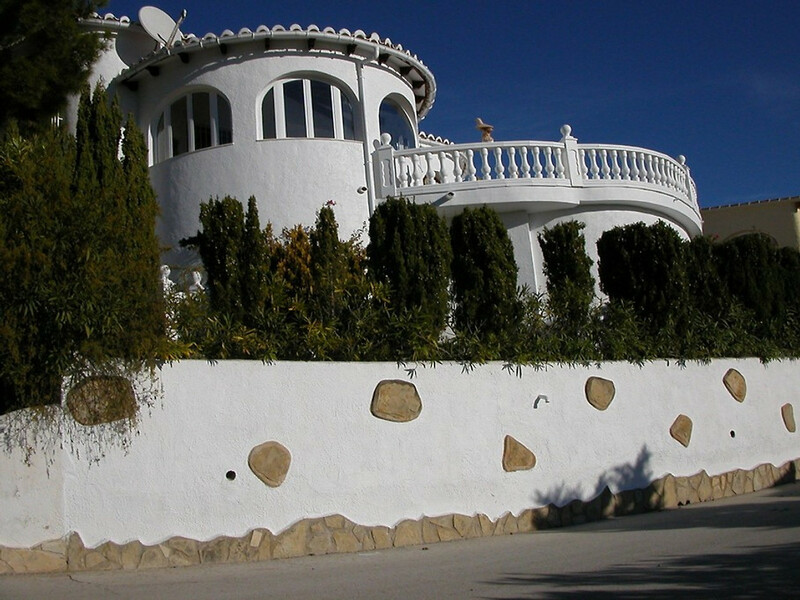 It was built in Spanish style and completed in autumn 1997. 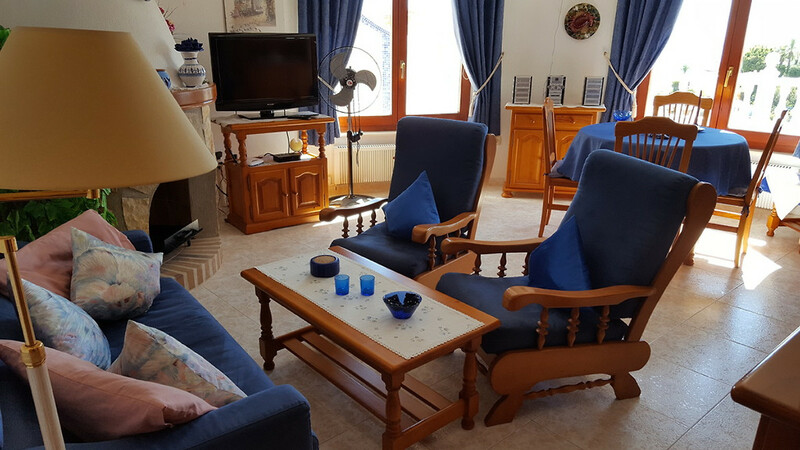 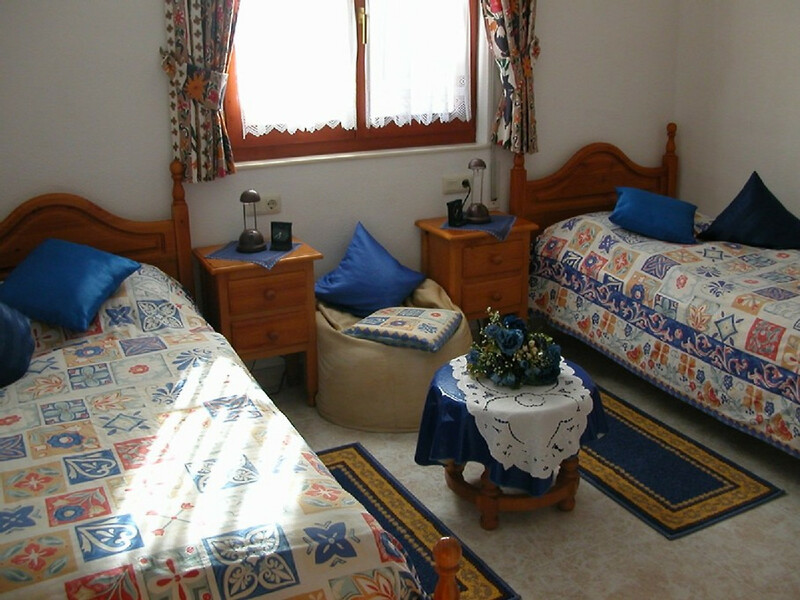 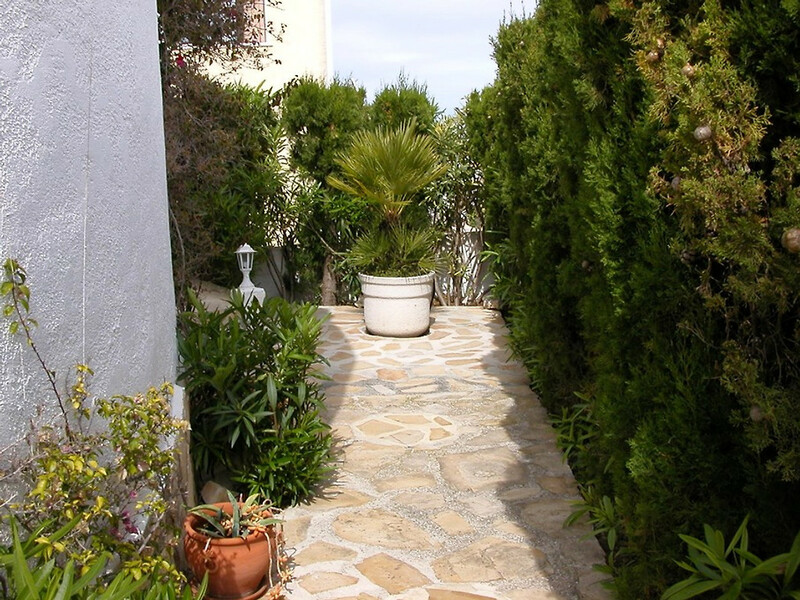 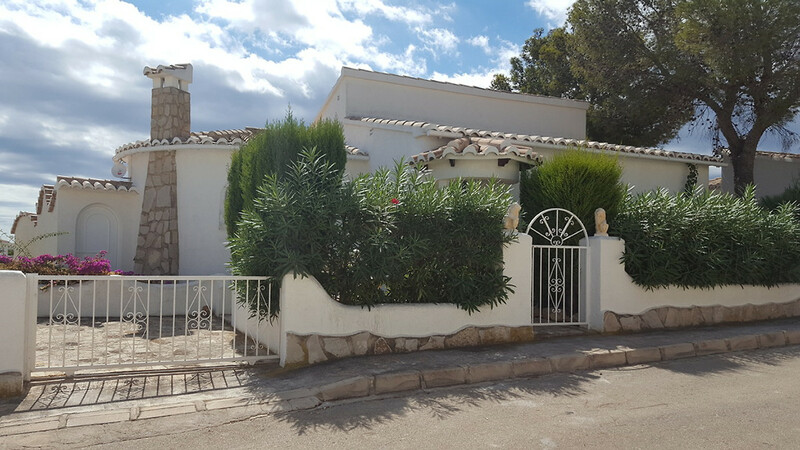 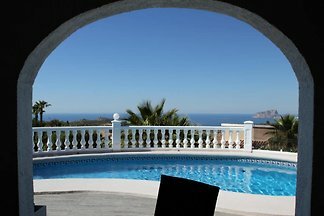 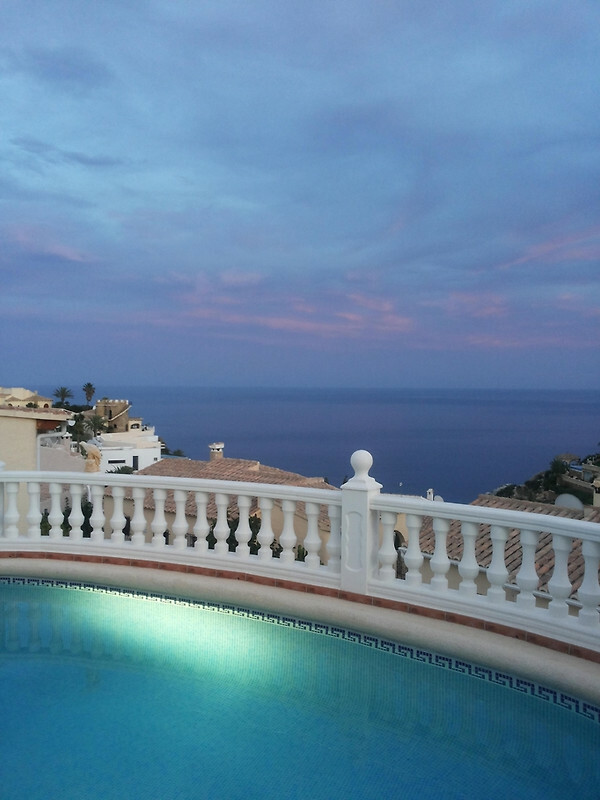 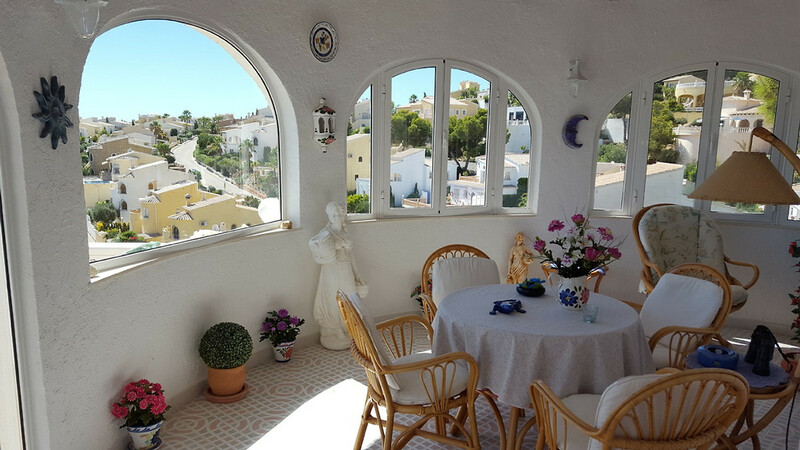 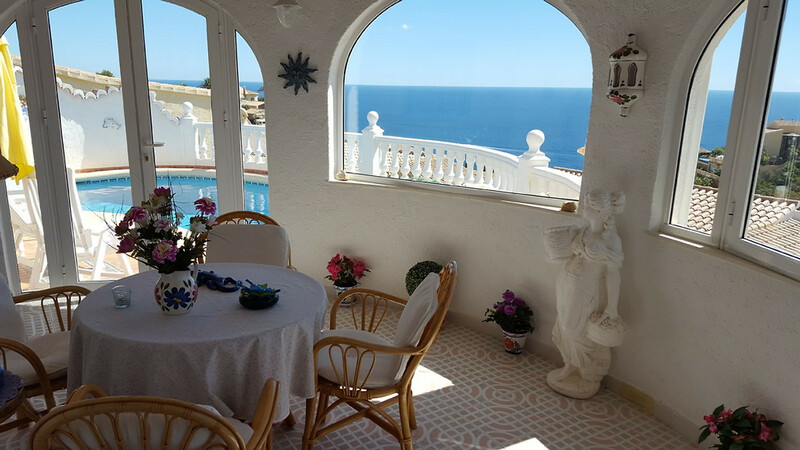 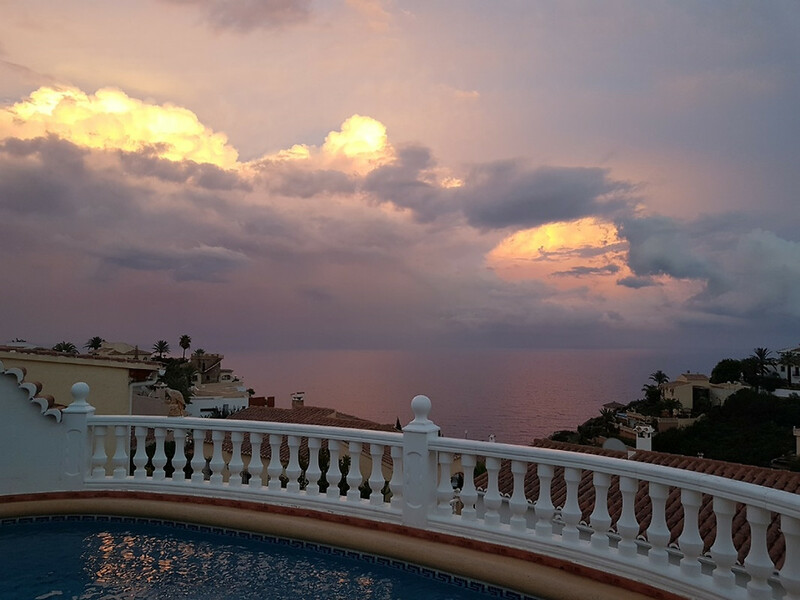 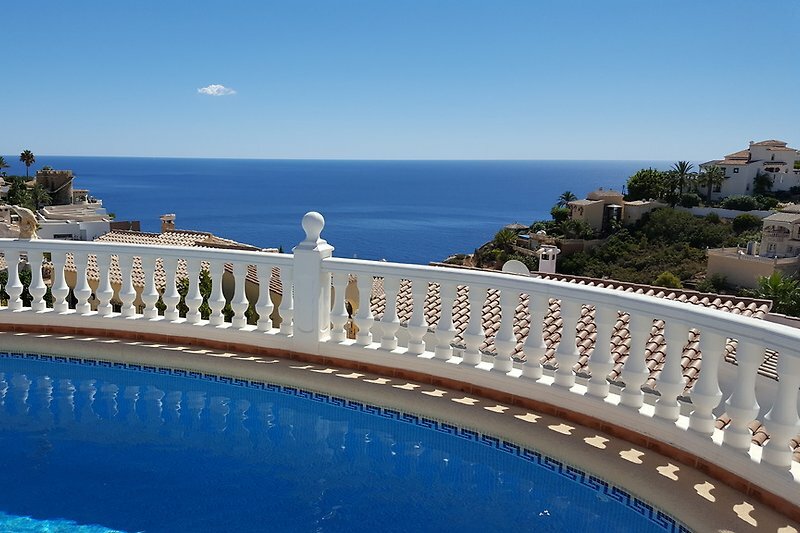 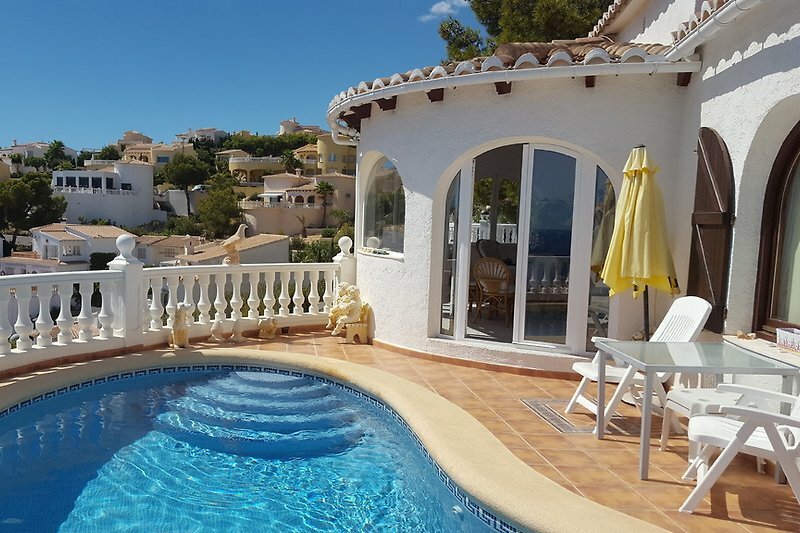 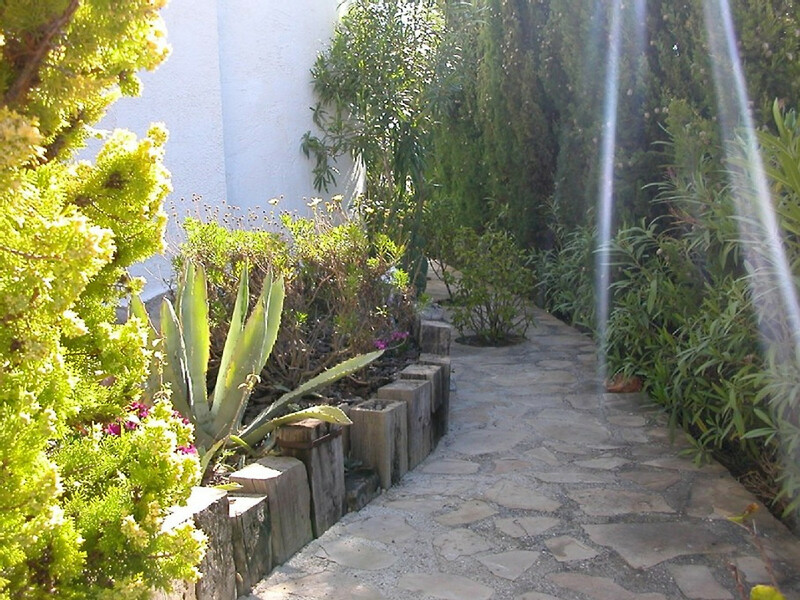 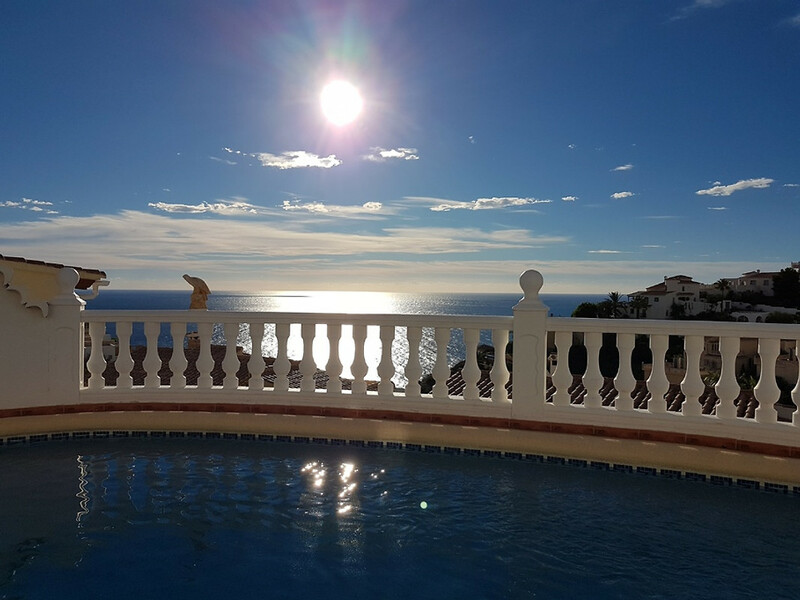 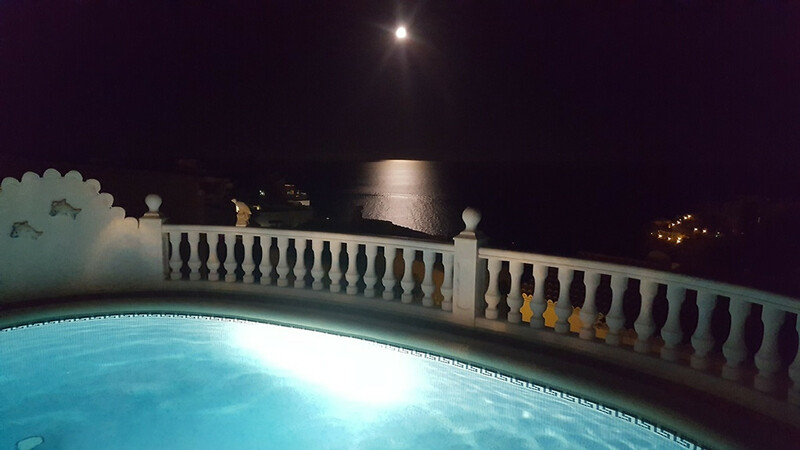 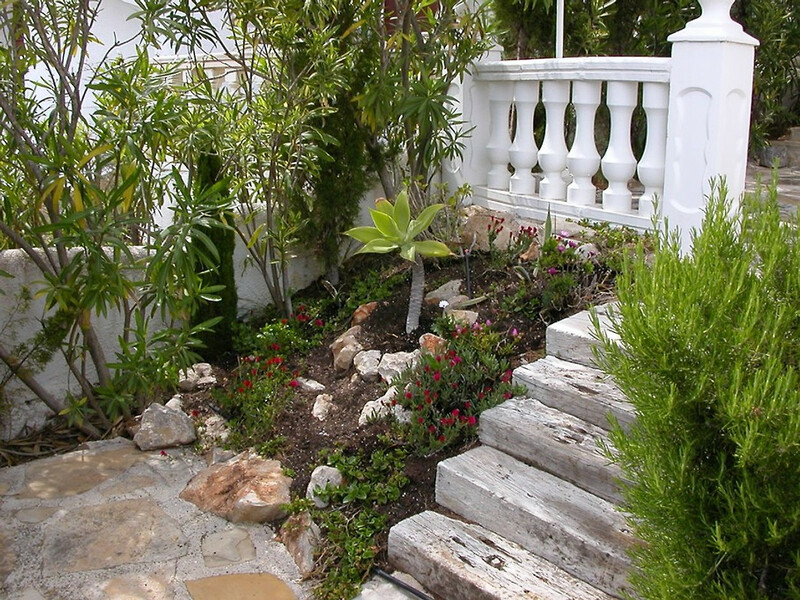 The house is located in the beautiful coastal settlement "Cumbre del Sol" in the heart of the Costa Blanca between Moraira and Javea in the north of the province of Alicante. 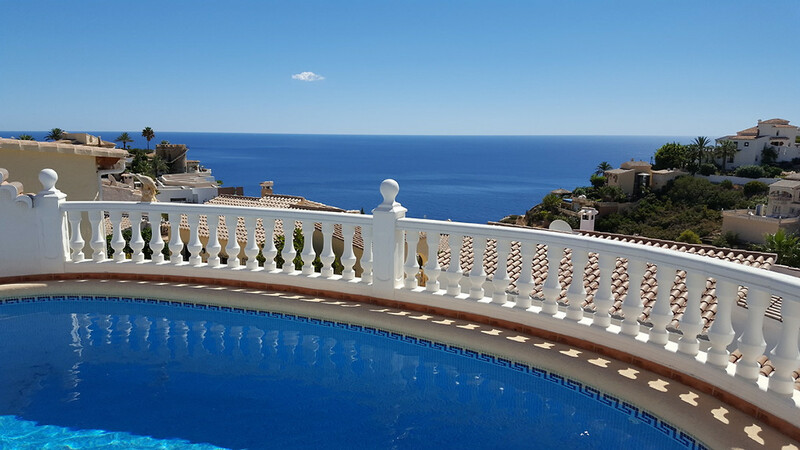 Above the picturesque fishing village of Moraira it lies directly on the sea, with a beautiful sea view that can never be obstructed. 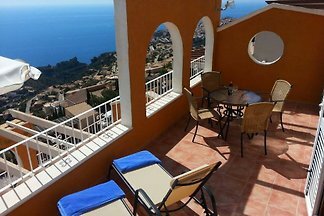 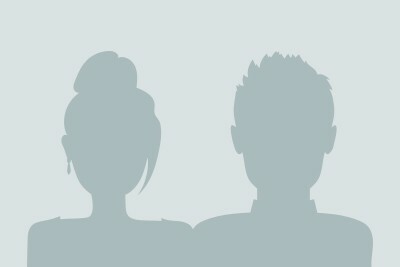 To the Cumbre del Sol belongs an approx. 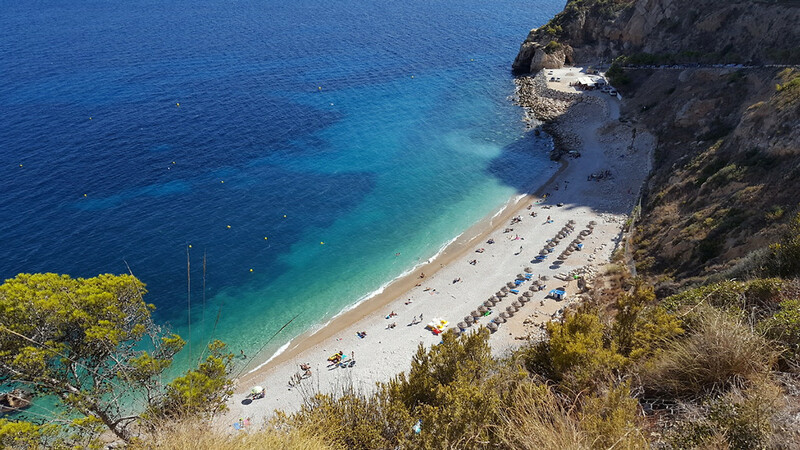 400 m long bathing bay. 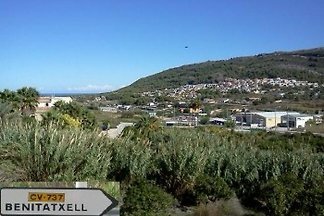 The last 50 m of this bay are designated as nudist areas. 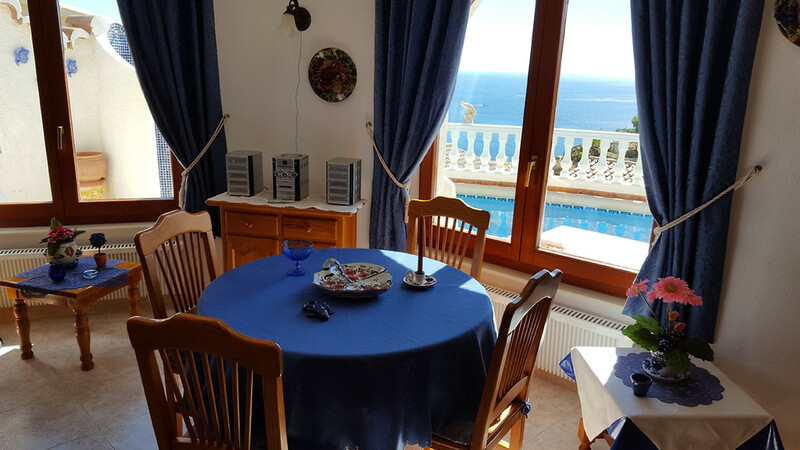 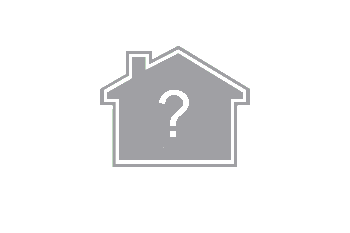 - Fully equipped kitchen with cooker, dishwasher, large fridge with freezer compartment, microwave, coffee machine, toaster etc.